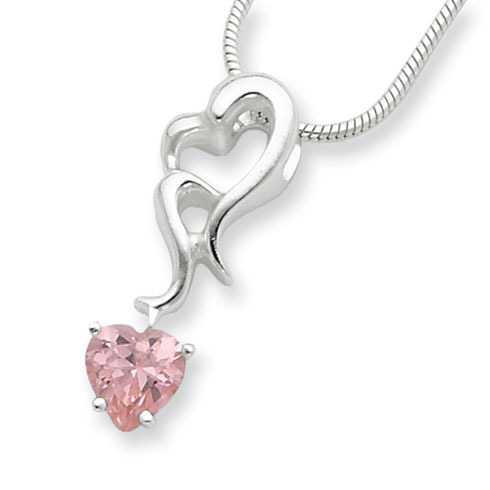 Sterling silver pink cubic zirconia pendant dangles from a sterling silver 18 inch snake chain. Pendant size: 7/8 inches tall by 5/16 inches wide. Weight: 6.4 grams.